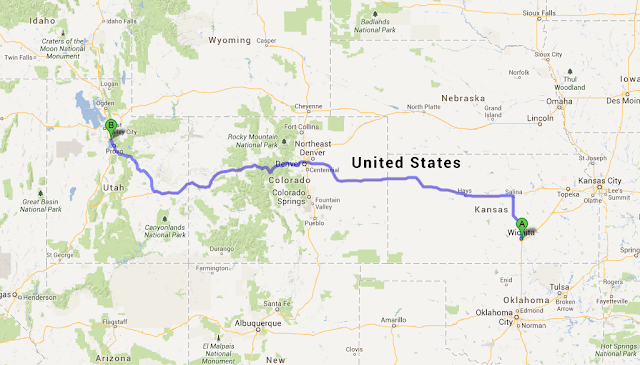 So we're going on a trip to Utah for my grandparents' 50th wedding anniversary and a family reunion. Call us crazy, but we are driving (well, sort of - we can't afford to drive ourselves, so we are driving down to Wichita [hey Sabrina, want to meet up on Monday?] to hitch a ride with the fam). Do you know how long that drive is when you drive straight through? No? Let me tell you - Lincoln to Wichita is 4.5 hours, so not too bad. Wichita to American Fork, however, is a different story - it's a fifteen hour drive. 1. You are bat s*** crazy. 2. How the eff are you going to do it? 3. What in the world are you going to bring? Okay, you may not be thinking the third thing, but that's what I'm going to address in this here blog post (as for the other two - yes, we are friggin' insane and I have no clue). 1. 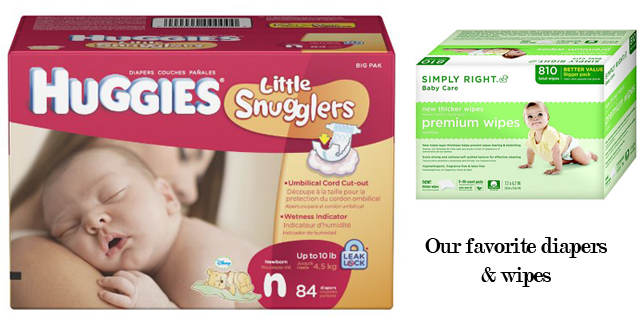 Diapers & wipes. Ummm duh!!!! 2. 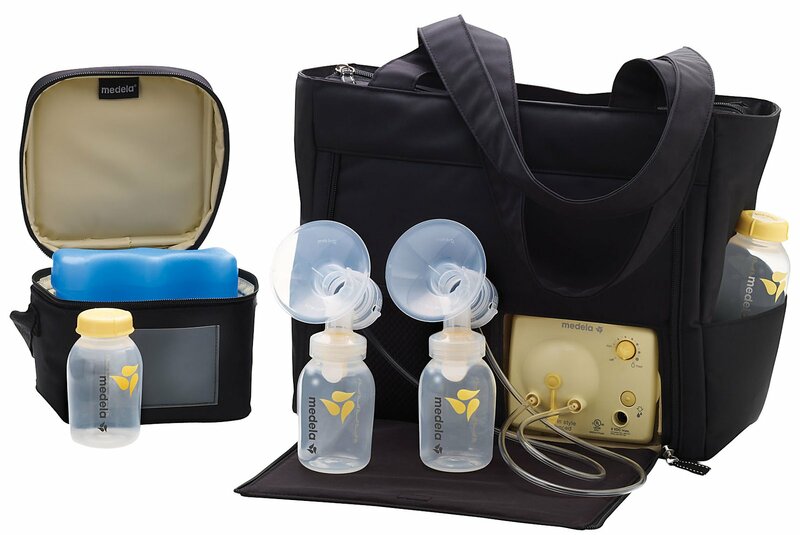 Breast Pump (and AC adapter or batteries). There is no way in Haades that I am letting us stop every three hours so that I can spend 30-45 minutes feeding baby G. I mean, really. Instead, I will just pump every two hours so that Mike can give her a bottle when she gets fussy. Some people might prefer stopping to breast feed, but that's not me. Let's get there as fast as possible, am I right? 3. Baby Carrier. I'm bringing our Moby wrap and our other baby wrap on this trip. You have to have baby with you constantly, and I personally vote for the "hands free" option. 4. Stroller. 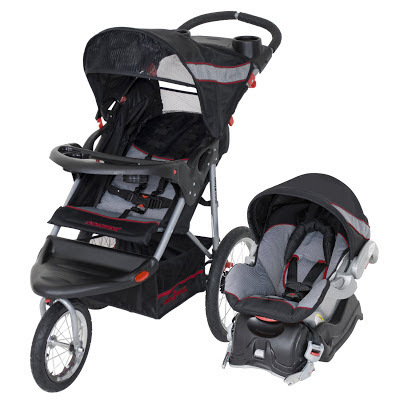 I'll be bringing our jogging stroller because it's part of a travel system with our car seat. We may not be able to bring it everywhere, but since I plan on continuing my workout plan while we're out of town, this is a necessity. 5. Pack n' play / bassinet. 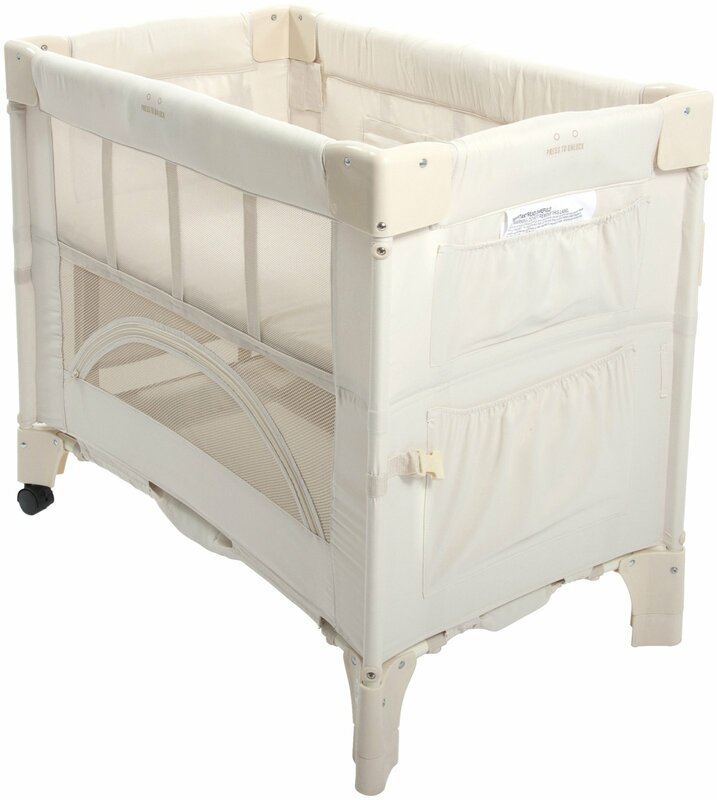 Our bassinet folds up just like our pack n' play, except it's quite a bit smaller. Because Elsie is still so little, we are conserving space and bringing the bassinet instead of the pack n' play. This is definitely a must, though, because the little one will need somewhere to nap/sleep at night. 6. Precisely one million outfits. Seriously, though. I think Elsie is going through a growth spurt right now, so I'm going to bring newborn and 0-3 month outfits with us. I won't be bringing any sleepers because they just take up space, and she will get too warm when she's swaddled and wearing a sleeper. 7. HALO Sleep Sack. This is an outright necessity. Seriously. If you have a baby, go buy one now. Elsie can wiggle her arms out of virtually every other swaddling blanket/contraption except this one (I want to try the woombie... I think she'd have a hard time with that one, too). It's basically a baby straightjacket. We love it. 8. Burp rags. Since we'll be bottle feeding while on the road, these are kind of a necessity, since homegirl likes to dribble and drool when given a bottle. 9. Receiving blankets. The temperature in the car is obviously a lot cooler than it is outside. We'll have her in a onesie or summery outfit and just throw a lightweight blanket on top of her for comfort. 10. 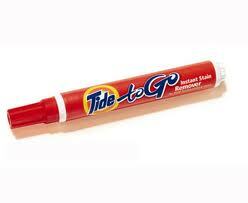 Tide pen. Because you never know when an accident is going to happen. You may not be anywhere near a washing machine, and you definitely don't want that stain to set on baby's adorable outfit! Am I forgetting any necessities? Help a momma out!! Yes!!! Good timing because we finally got our second car back so I'm not stuck without. I can't wait to meet Elsie!!! I think you've got everything down. It's a little easier now because you don't have to worry about snacks and toys and she'll sleep a lot. I think I've gone crazy. When I hear 15 hours, I'm like 'oh that's nothing!' now that we have made the 17 hour drive from TX to SC like 5 times. Like I said... crazy... Then again, I don't have a baby with me! I love my sleep sack. Especially my swaddle me. Roan was a freaking Houdini. I swear he was timing himself. :) Have a fun safe trip. You can do it! Sending good vibes your way. Have a great trip! Have a safe trip! I think I never drove that long on one day! Might want a CD with white noise on it( or just turn up the static) if you need to. Check out HelloHue's tips, she just did something similar. And Woombie's have a great bogo clearance thing right now, $25 (with shipping) for 2 woombies. I know its cash, but its a pretty good deal... Can't think of anything else. Good luck! Come visit me while you're in Utah! 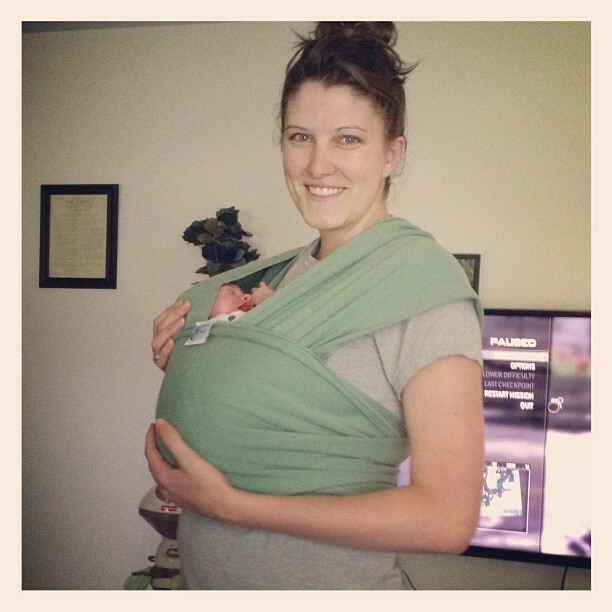 the halo sleep sack is a great idea for a baby gift and i have a ton of people having babies in my life right now! Oh, I remember the first trip that we took with Claire. It felt like we were packing for 10! Have a great trip, Alyx. You look so beautiful! HOW did you not tell me about this??? There will be time when you are only an hour away from me!!! Oh this is going to be an adventure, I can feel it! 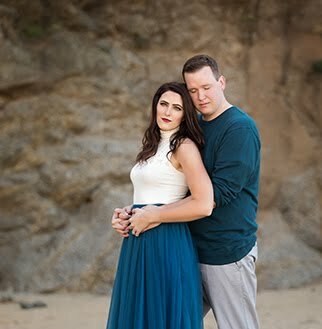 Ok, so we're doing our first super long road trip with Klara in September (friends' wedding in South Padre). Its almost 16 hours from here. So I would love to know what you didn't need or wish you'd taken??? ?